For far too long, Utah nightclubs were simply dark and uninspired watering holes. For that, you could easily thank meddling state lawmakers who made it difficult for bar owners to invest in their properties. From one year to the next, they were never sure what regulations would impact them and their patrons. But in more recent years, it’s obvious that a number of Utah nightclubs are getting their acts together. Not only are more and more bars being remodeled and updated, but many are reclaiming the past in novel ways. 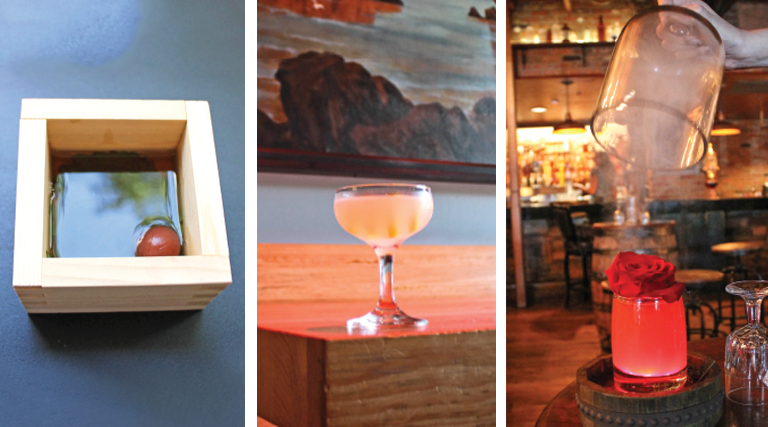 Equally satisfying for both the eyes and the palate, these Salt Lake City bars represent the exciting diversity of Utah’s drink and design scene. From modern minimalist to over-the-top glam, each of these four 21-and-over spots elevate guests’ overall experience. Slotted in a narrow, historic Main Street space, the bars Bodega and The Rest are the Gemini twins of owner Sara Lund’s creative imagination. Street-level Bodega’s vibe reads like a much less sticky shots-and-brews scene of an East Coast college-adjacent bar. Whereas descending downstairs into The Rest’s cool, dark and intimate space immediately transports guests to an environment reminiscent of private supper clubs and swanky speakeasies. A Utah native, Lund lived in New York City for years and the diversity and complexity of Manhattan’s population inspired her design of both bars. “The concept of The Rest started not from a love of craft cocktails and food,” Lund says—although both are consistently excellent— “but from a feeling of restlessness and the desire to find a place I felt I belonged.” With walls lined with taxidermy, art, books, collectibles and curiosities in every quiet nook, the bar is worth visiting over and over to discover something new each trip—optimally with one of The Rest’s sophisticated and superlative cocktails in hand. 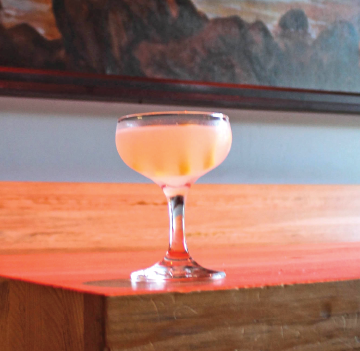 The Billy Pilgrim ($15), named by bar manager Adam Albro after the protagonist in Kurt Vonnegut’s classic novel Slaughterhouse-Five is a variation of an Old-Fashioned that evokes the decadence and decidedly dramatic mood of this downtown bar. Stir all ingredients in an Old Fashioned glass with ice. Garnish with an orange twist, express citrus oils over the glass. With modern, minimalist design and soaring ceilings emphasizing large original art panels by local multi-media artist Gary Vlaskic, recently opened Post Office Place embraces sleek elegance without a bit of stuffiness. SLC sushi institution Takashi’s co-owners Tamara and chef Takashi Gibo created in Post Office Place a spot that very much reflects Gibo’s personal and culinary journey, having lived in both Japan and Peru before coming to Utah. Represented on the menu (with chef de cuisine Tommy Nguyen) at the helm] are several references to “nikkei,” the Peruvian term for Japanese-Peruvian culture fusion. General manager Rich Romney says they named the spot after the historic Market Street Post Office formerly across the street. “The old post office served as a gathering place—where people pass through, interact and where cultural interchange happens,” he says. In keeping with that cultural give-and-take theme, I thoroughly enjoyed sipping Romney’s Improved Shochu Cocktail No. 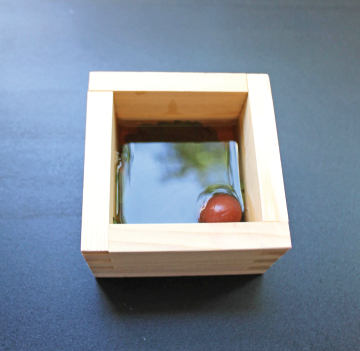 1 ($10), a combination of barley shochu, Zubrowka vodka and ume plum brandy, served in a masu (traditional cedar sake box). The smooth drink has clean herbal, fruity and distinctively sour notes and spot-on balance. “It’s the first of what we imagine will be many shochu cocktail variations,” Romney says. “We wanted the Witch to be a really unique Salt Lake space. A community gathering place that reflects our city,” Neves says. Further, he says their priorities of using local craftspeople for all of the built components and construction, as well as the large-scale reproduction of historic Utah landscape artist Alfred Lambourne’s painting “Cliffs of Promontory,” pay homage to a definitive sense of place. Scott Gardner’s Hazelnut Army Navy ($10) spin on a classic Army & Navy gin cocktail embraces all the wonderful and wacky things we’ve come to love about a quiet Wednesday afternoon or boisterous weekend night at the Witch: lots of color, nice balance and a bit of bravado. All wrapped up in a pretty presentation. Shake with ice and serve. Express lemon oil over cocktail and discard peel, if desired. “It’s like Disneyland, but for grown-ups,” Prohibition operations manager Jen Crocker says of the popular bar located just north of Fashion Place Mall in Murray. In the spring of 2017, bar owner Nate Porter transformed the space, formerly occupied by a hookah bar, into a speakeasy-like showcase for plenty of red velvet, vintage décor and multiple performance-oriented seating areas. After all, the bar hosts a bevvy of themed events every week, with one of the city’s most competitive Geeks Who Drink trivia nights each Monday, live jazz and blues on Tuesday, and swing dance nights on Wednesday (with pre-show free dance lessons). ”People come dressed to the nines,” Crocker says, DJ and “Femcee” Madazon Can-Can hosts Thursday night Burly-Oke burlesque/karaoke nights, and there are live shows each weekend ($7 cover on Fridays and Saturdays). 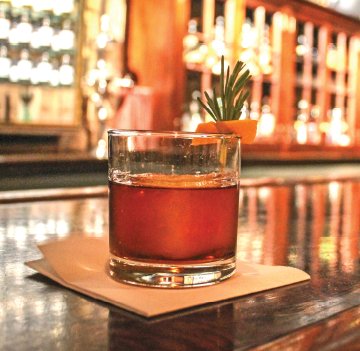 Crocker says that one of the most popular “date night” drinks on their extensive menu is the Bourbon & the Beast ($14). 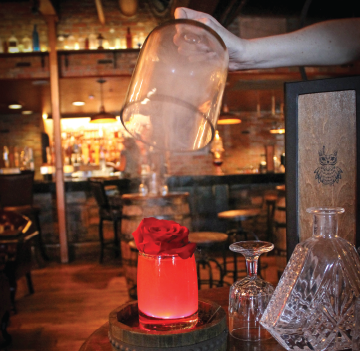 Served tableside, the whiskey-and-blood-orange-based cocktail is dramatically presented in a torched lavender smoke-filled glass cloche (with a glowing L.E.D. base for extra effect). Topped with a full red rose, it definitely hits all the Beauty and the Beast Disney-esque buttons.